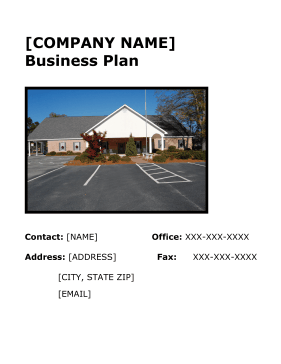 Through management and development strategies found in this free, printable business plan, morgues and funeral homes can gain a competitive edge in the mortuary market. [COMPANY NAME], located in [CITY], [STATE], provides the community and surrounding areas personalized and professional funeral services. The primary concern of [COMPANY NAME] is to assure the families the dignified service their loved ones deserve at the lowest possible price. [COMPANY NAME] is the succession of a family business that began in 1917. The owners, [NAME], take pride in their business and continue look for ways to enhance the services they provide to their customers. The company seeks to improve its funeral home, add an additional funeral vehicle, increase marketing, and reduce debt. Additionally, [COMPANY NAME] is focused on reducing prices while at the same time upgrading the services provided. Therefore, grant funding in the amount of $410,000 is being sought by [COMPANY NAME] to achieve its goals and continue to provide a superior service for its customers. [COMPANY NAME] mission is to assure its families the dignified funeral service their loved ones deserve at the lowest possible price. [NAME] is located in [CITY], [STATE] of [COUNTY] County and provides it services to [COUNTIES] Counties. The [COMPANY NAME] name has been in the funeral home business since 1917 and is recognized throughout the community and surrounding counties. [COMPANY NAME] is a privately held S corporation owned equally by [NAME]. [COMPANY NAME] was established in 1998. The owners, [NAME], collectively have over 63 years of experience in the business. They implemented their experience along with the knowledge provided from their ancestors to start their own funeral home that carries on the family name.